TOKYO, Feb, 21 2019 - (JCN Newswire) - Hitachi Aqua-Tech Engineering Pte. 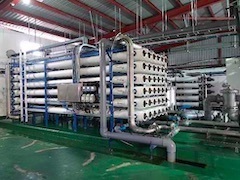 Ltd., a subsidiary of Hitachi, Ltd. (TSE:6501) and running businesses of designing, manufacturing, selling, and maintaining water treatment systems including seawater RO(1) desalination systems, and Hitachi Capital Asia Pacific Pte. Ltd., a Singaporean subsidiary of Hitachi Capital Corporation (TSE:8586), today announced that they have received an order from Male' Water & Sewerage Company Pvt. Ltd (MWSC), in charge of a water supply infrastructure project that is part of an urban development project on Hulhumale in the Republic of Maldives for a complete set of facilities and equipment that includes a seawater RO desalination system, water distribution pipes, and also setting credit facility. MWSC has strong track record in developing and managing water supply and sewerage systems throughout Maldives. The order is worth $8.8 million and delivery is planned for June 2020. The Hitachi Group will be supplying facilities and equipment for water infrastructure projects in developing countries mainly in Asia. Moreover, by bundling financing support from the Hitachi Capital Group into packages, the Hitachi group and the Hitachi Capital Group can contribute to the development in various countries and regions through providing comprehensive solutions that meet clients' needs. 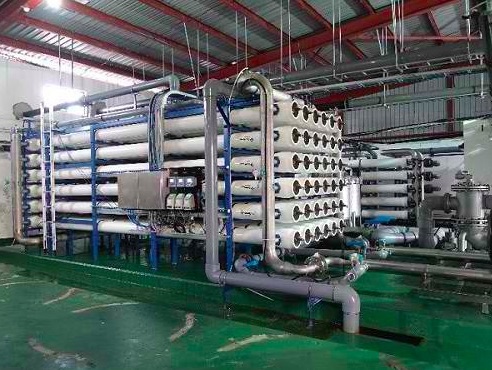 The Maldivian government has been developing the artificial island, Hulhumale, since 1997 in an effort to alleviate the issue of high population density on the adjacent capital island, Male, but it has to rely on seawater RO desalination systems to acquire domestic water as the island is poor in water resources. Now entering the second phase of Hulhumale reclamation and development, it is necessary to develop a new RO system and water distribution pipes network. Hitachi Aqua-Tech has a strong track record of supplying about 500 RO systems mainly in Asia and the Middle East. Moreover, the Hitachi Capital Group is providing sales finance to the Hitachi Group and other partners in the ASEAN, basing their activities at Hitachi Capital Asia Pacific. Amid this situation, MWSC appreciated the comprehensive proposal that came with financing from Hitachi Capital Asia Pacific as well as Hitachi Aqua-Tech's rich track record in the Maldives thus motivating them to place the order. In this way, MWSC can realize developing a high-quality infrastructure without spending time on securing project financing. Hitachi and Hitachi Aqua-Tech will contribute to solving issues faced by clients and society through developing water infrastructures such as water, sewerage, and seawater desalination systems by combining their track record and know-how of Operational Technology (OT) and products that have been cultivated over the course of many years, with Information Technology (IT) for which Hitachi possesses abundant experience and knowledge in diverse fields. The Hitachi Capital Group identifies realizing sustainable and stable energy supply as well as effective resource usage as top priorities for society, and so is developing wind power generation and other renewable energy businesses. The group takes this opportunity to expand the overseas water infrastructure business further. Hitachi Capital Corporation (TSE: 8586) is the company that has grown by flexibly addressing changes in the times and the needs of customers through the provision of a broad range of financial services, including sales finance. Hitachi Capital will continuously improve its corporate value through providing solutions which solve social issues and meet customers' needs by taking advantage of its strengths as a "Social Values Creating Company", a multiple solution provider evolving from a conventional finance company.